This estimate is not binding until finalized in writing. Or you can CLICK HERE to order a CD to be shipped to you directly. Take a few minutes to check us out! Our goal is to give you the best audio production possible at a reasonable price. In fact, all prices are based on the individual project and agreed upon in advance. Once a project fee is determined, that is the final price, and any additional services will be quoted as needed. This gives the artist the ability to be creative without having to constantly watch the clock. Recording at LRM Studio Productions with Ron Williams has been like a breath of fresh air. Ron has an innovative approach to producing music. He has an extensive knowledge of the field and an open mind for new ideas and styles. Ron is full of creative visions and revolutionary methods which he uses to make your project the very best it can be. Ron allows you to be yourself in ways that other producers don’t. We have known Ron Williams for over 20 years and have partnered with him on many musical projects for our family theatre company. From Gospel to Country, Jazz to Broadway, his amazing original arrangements always add that professional touch to our shows that audiences have come to expect. With their integrity in pricing, high musical standards and the friendly, stress-free environment that Ron and Chris provide, LRM Studio Productions is simply the best place to create music. As a young artist, I am very pleased with all the help I have received singing with LRM recording studios. The Christian atmosphere and the helpful suggestions are something that I am very thankful for. From creating the tracks, all the way down to the vocals, LRM has been a complete satisfaction. Thanks!! The first time we met Ron and Chris they made us and our daughter Kourtney feel completely at ease. They were very genuine and professional. Chris encourages and also challenges Kourtney as a vocalist and Ron has a true gift of taking her lyrics and arranging the music around them. We are extremely satisfied with LRM Studio Productions and can't recommend them highly enough. From creative genius to creative freedom, LRM Studio Productions enables you to put your best performance forward. The professionalism is unmatched. I was blown away by the variety of services offered, and even more impressed with the quality of the finished product. My own songs were enhanced by Ron’s amazing ability to arrange, record, and produce to such a high standard. I have heard some of the other recordings out there, and in my professional opinion, LRM Studio out-performs all of the competitors in quality and price. I am extremely happy with every aspect of LRM Studio Productions. 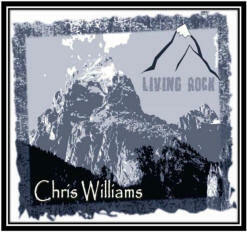 2012 LRM Studio Productions and LRMSP.com. All rights reserved.